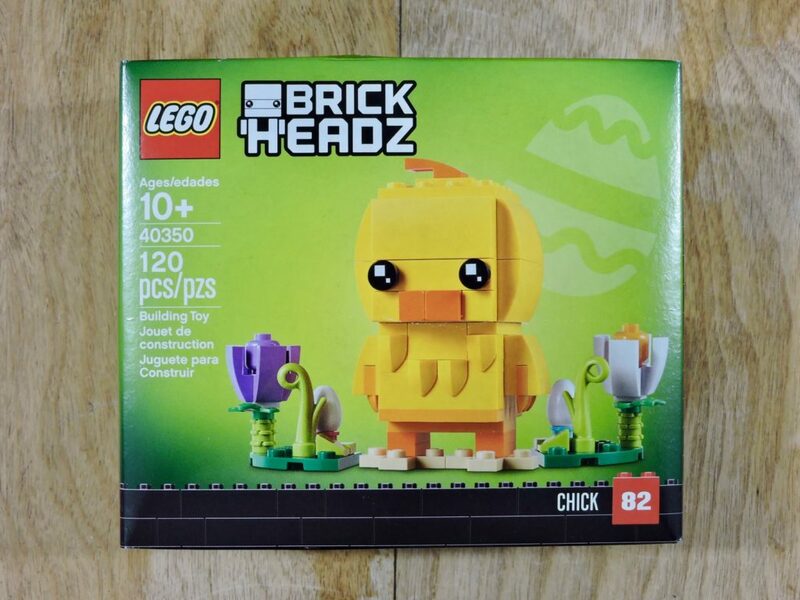 For the second year in a row, LEGO® has used BrickHeadz® for all of their seasonal sets. I like both of those things, so it is no big surprise that I’ve been buying them when I can. 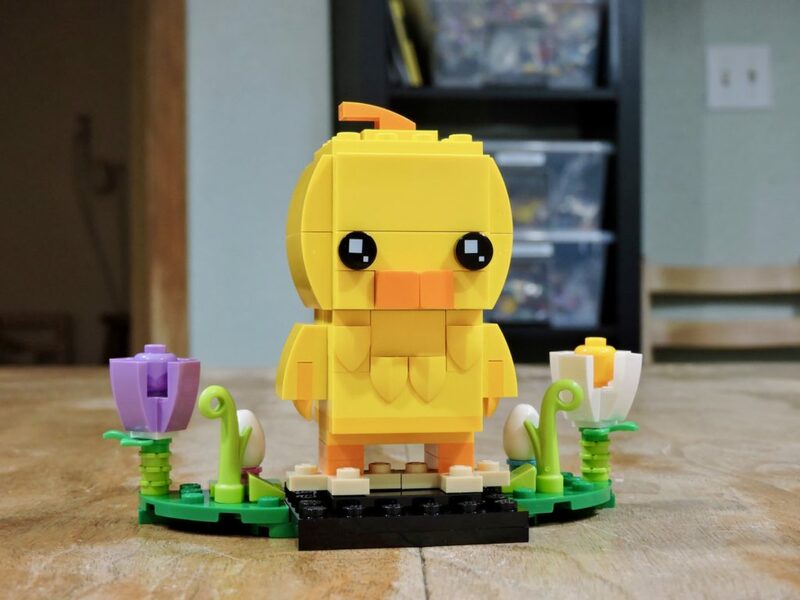 Like all of the other seasonal BrickHeadz, this adorable chick comes with a decorative display base. The model is cute and Eastery. Let’s dig in! No real surprises in the box. Two bags of parts, divided roughly by size, and an instruction booklet. A lot of yellow elements visible and a smattering of other spring colors. 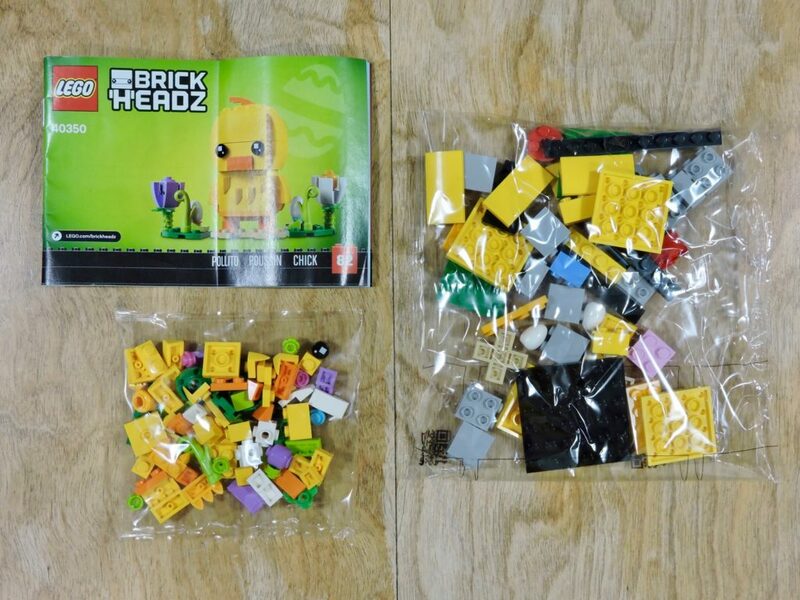 The blank minifig head in Flame Yellowish Orange is the only new recolor in the set, but there are a few other elements that are rather uncommon. 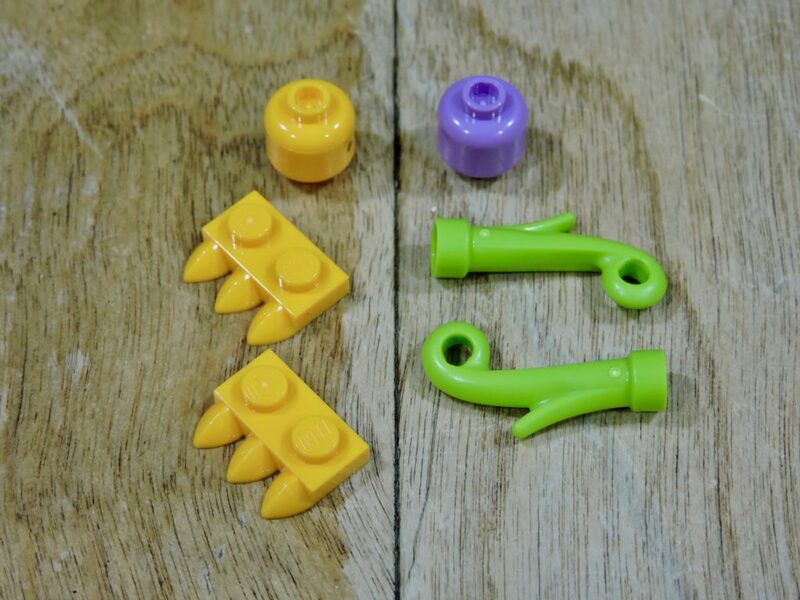 That medium lavender minifig head has only appeared in two other sets, both with considerably higher price points. 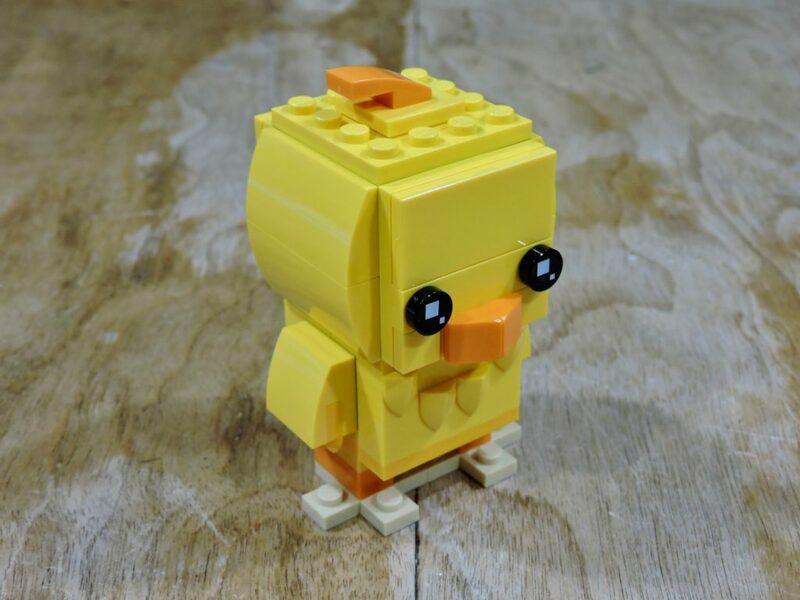 The chick is a simple build, following the standard BrickHeadz template. 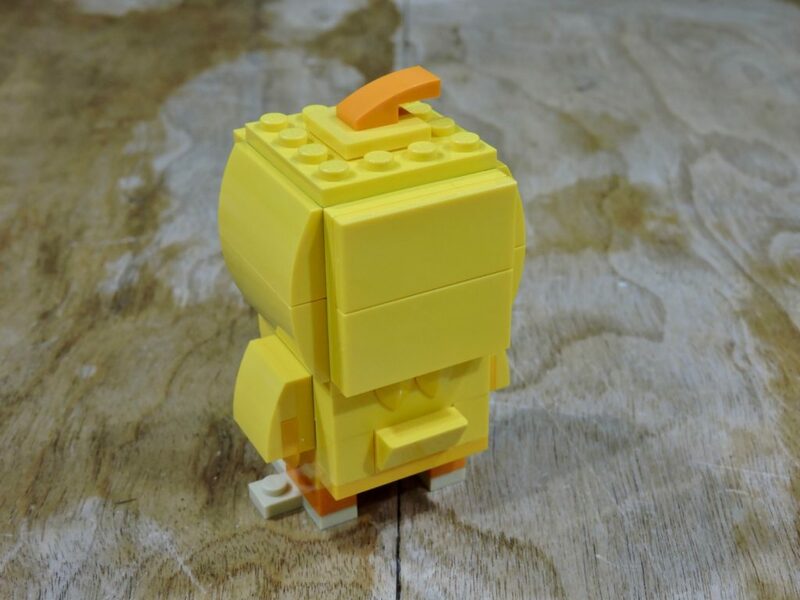 There are a couple of small adjustments that add to the model’s charm, such as the wing-like arms and the use of the 3×3 plus-sign plates for feet. 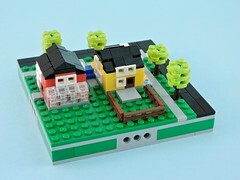 I really like how much character is packed into a simple build. 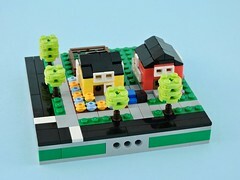 A few modified plates go a long way to keep the otherwise common building techniques fresh and fun. Not much more to see on the back. A cute little tail and a few more feather details keep it from being boring and flat. The base sets the scene nicely. 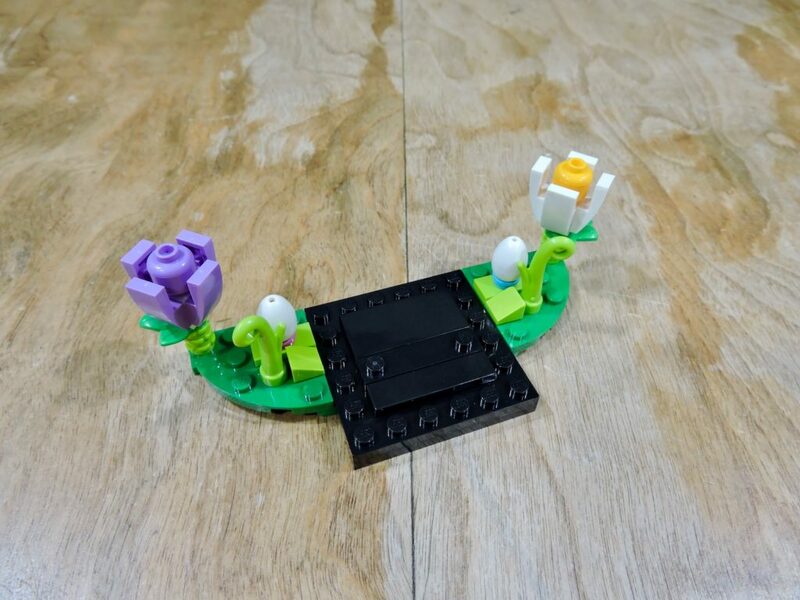 Colorful flowers and eggs hiding amid the greenery evoke Easter themes, but don’t detract from the main build. It feels a bit awkward that the flowers have such different colors, but I like medium lavender enough to forgive. The finished model is super cute and would make a great easter decoration for those that are so inclined. There aren’t a ton of extra elements in the set, but it still comes in way below the 10¢ per piece mark. 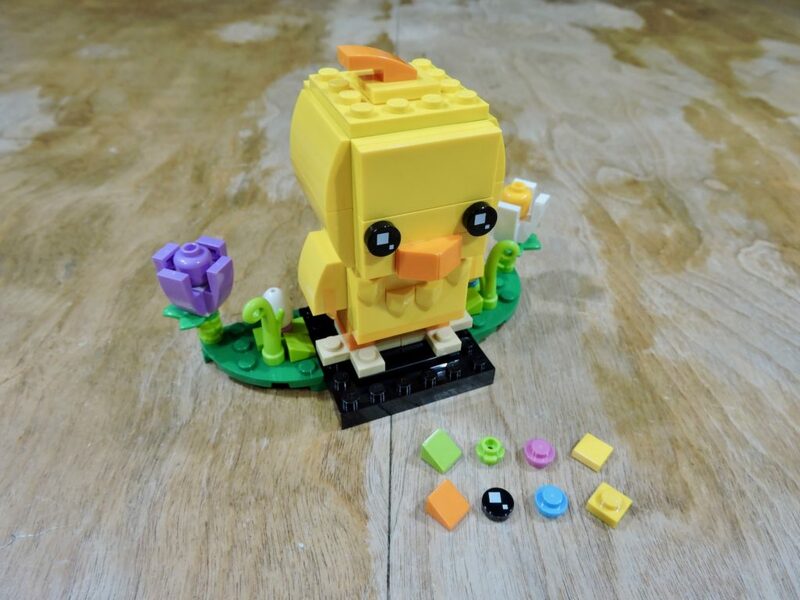 Pick one of the little guys up if you have a chance, as Easter is just around the corner!